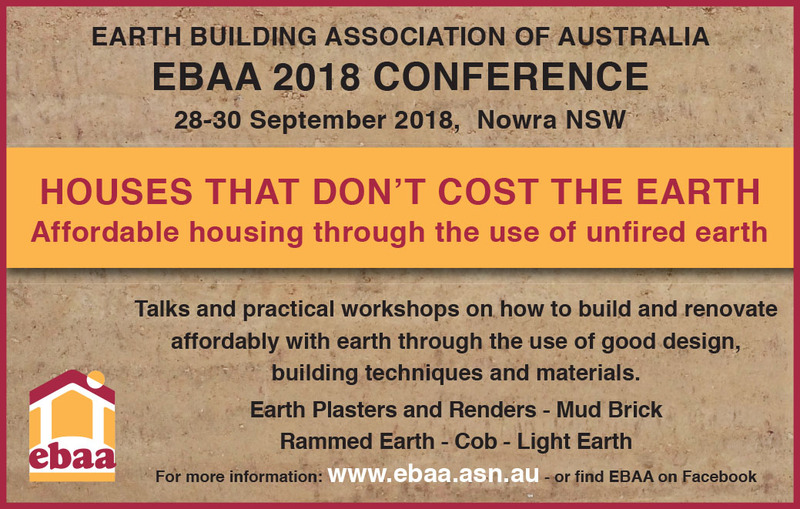 is EBAA’s 2018 Earth Building Conference theme which presents the opportunity for all of us to share in a 3-day programme of workshops, seminars and papers on the subject of affordable and sustainable housing through the use of natural and unfired earth. Prof . Dr. Gernot Minke – Rostock Germany. 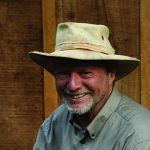 Gernot Minke is the first world benchmark in terms of sustainable or natural construction. Gernot Minke has carried out more than 50 research and development projects in the field of ecological constructions, low-cost housing, establishing the scientific properties of unfired earth (material characterisation) and earth construction techniques including cob, rammed earth, mud brick and clay renders, earth reinforcement with natural fibers and bamboo and green roofs. He has been invited as a speaker to more than 60 international conferences and has given numerous lectures, courses and workshops in various countries of the world. Please go to our Presenters and Programme page to see all of the presenters. A day of visiting local existing successful unfired earth buildings. To see the programme, go to our Presenters & Programme page. This conference attracts Continuing Professional Development (CPD) points, if you need those. The conference is held over 3 days 28, 29, 30 September 2018 at Bamarang Bush Retreat, which is near Nowra in the Shoalhaven area south of Sydney, in NSW. The conference venue, Bamarang Bush Retreat, is a large group of mud brick buildings. Accommodation in these mud brick buildings is included for conference attendees who wish. All meals are fully catered with delicious local produce prepared and cooked by EBAA catering members at the venue. Evening fireside music often completes the day. Technical experts of many decades experience are continuously in attendance and all earth building questions can and will be answered. Come for one day or 2 days or for all 3 days. Everyone is welcome. If unable to come for the whole 3 days, you can build your own package at standard rates. Details provided in the booking window. Registration is extended up to midnight of 20th September 2018. We are close to getting fully booked. So if you wish to book after this date, please contact us for availability. See improved thermal performance and less greenhouse gas emission from an unfired earth wall building. Also…Rather than the endless insulation and sealing of buildings to lessen air conditioning costs, EBAA proposes building with thick massive unfired earth walls, climatically well designed and free running. At the same time using sustainable, economic and low embodied energy, earth building methods. The aim is low carbon in construction and in lifetime running of the buildings to overall be carbon neutral, as well as meeting other sustainable and healthy building and affordability metrics.